Readers of The Hockey Writers and me in particular know I’m a huge Brian Elliott supporter. I’ve marginalized the idea that simply because 2014 goalie of the year Jake Allen finally made the big club, the “Allen Era” had somehow officially begun. I still think Elliott is a Cup-caliber goaltender on the right team. However, given Allen’s performances in the young 2o14-2015 campaign, there is no question that Blues management has designs on fast-tracking the talented rookie. Although there is merit to this idea, the result will still leave Blues fans wondering what Brian Elliott could have done had he just been given the ball. Although there’s no question that the jump from the AHL to the NHL isn’t as small as it appears, one doesn’t become the AHL Goaltender of the Year by being incapable. In the 2013-2014 campaign, that’s exactly what Jake Allen did. Brian Elliott shared the 2012 Jennings Trophy with then-starter Jaroslav Halak. However, unlike the NHL’s Vezina Trophy, the Jennings is widely perceived as a team award for the League’s lowest goals-against average. The Bas Bastien — the “AHL Vezina” — award is an individual honor. Allen’s 2.07 GAA and .927 Sa% were tops in 2013-2014, indicating he was ready for full-time NHL duties. 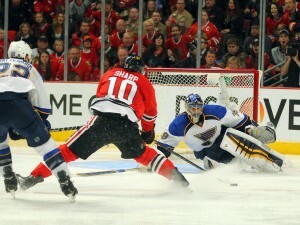 Behind a solid defensive team like the Blues, there is minimal risk in potentially bringing up a goalie that might not be ready. 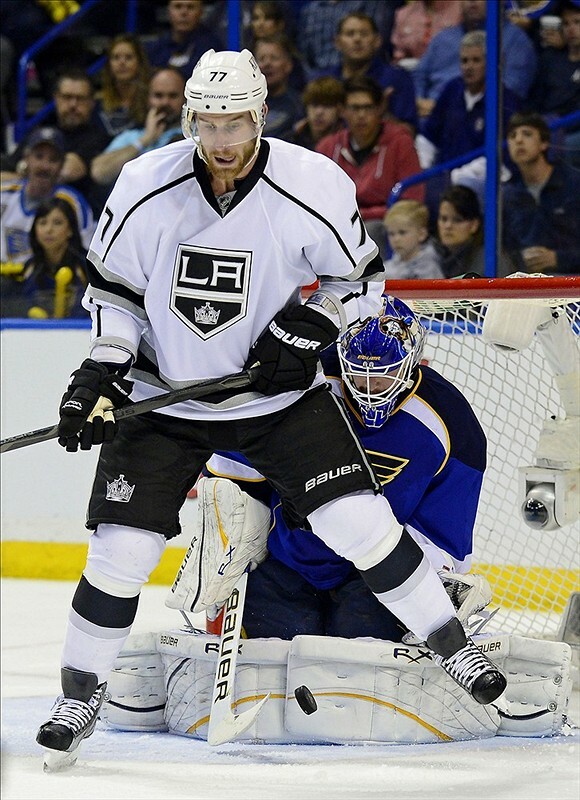 Allen has largely dispelled this concern early in the 2014-2015 campaign with two shutouts, a 1.40 GAA and .940 Sa%. Even if those numbers normalize to League average, his small cap hit justifies at least a backup role — which is almost more dependent on how Elliott performs than Allen himself. This is the crux of the issue: it’s important to have a competent pair of goalies to give the team a chance to win if the starter is rested. However, the eyes of coaches and management seem to be waiting for their perceptions to be rewarded through Elliott’s play to fall off slightly. Once this happens, expect Jake Allen to be handed most of the starts down the stretch. This seeming inevitability is masked by Elliott’s new contract signed in the offseason — mainly as an apology for the Miller situation — but teams look at their goalies in terms of their combined cap hit, not individual salaries per se. A multitude of excuses for not handing Elliott the reins ranged from needing to play Halak given his contract and hype, Miller’s Vezina and 2010 Olympic performance and now, Allen’s Bastien and NHL promise. Of course, these weren’t stated outright, but evidence abounds. 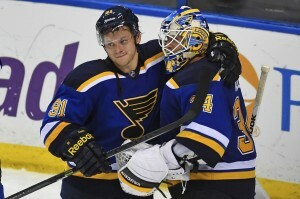 It’s been discussed ad nauseam the issues and burdens plaguing Blues goaltenders. Other than the Toronto Maple Leafs, there may not be another NHL team that more squarely places the reasons for their successes and failures on goaltending than the Blues. The Note has consistently shown a disturbing lack of patience with their goalies, going through a starter roughly every three years if they don’t meet a seemingly arbitrary level of success. Roman Turek, for example led the 2001 Blues team to the Western Conference Finals, something the team amazingly hadn’t achieved since 1986, and hasn’t since. Yet, the year after Patrick Roy and a strong Avalanche team disposed of the Blues in five games, Turek was scapegoated to be replaced with a young Brent Johnson. 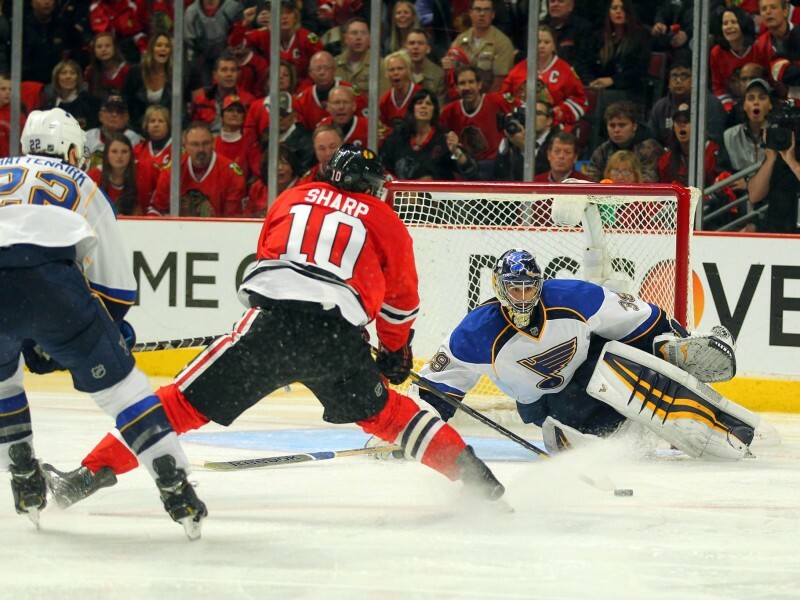 Jaroslav Halak’s issues in St. Louis were really injury-related more than performance-oriented. However, every team has a certain window to win, especially stacked teams that at some point run into cap issues. Halak had to go not because his play was singled out as problematic, but because he is “made of Halak” and the team couldn’t rely on that uncertainty. Elliott has almost always put up superior numbers to any of his playing partners, but the perception is that he’s not an NHL starter in the traditional sense. Up until the summer of 2014, this was reinforced by replacing Halak with Ryan Miller and never really giving Ells his due respect. His two playoff series featured him as the starter, mainly by default rather than any organizational level of confidence — notoriously punctuated by a lack of timely and consistent goal scoring. Already in the young season, Blues goaltending coach Jim Corsi gave a rather circumscript description of the starter’s role in St. Louis. His response shows that the franchise is clearly in a tandem mindset, where the “1A” may enjoy 10-15 more starts rather than the traditional 75 percent. Although there is wisdom in having a competent pair of goalies rather than a stud starter and passable backup, the answer Corsi gave is not surprising, given Elliott’s history in St. Louis. Whether this author’s apparent cynicism of this situation turns out to be warranted over the passage of time, there is little question that Brian Elliot’s play probably — given his history — won’t affect his playing time and status as the Blues true number one as it would with the remaining 90 percent of teams in the NHL.